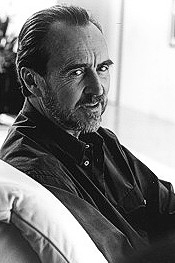 Wes Craven is undoubtedly the master of horror. For three decades, the director and writer behind such classics as The Last House on the Left, The Hills Have Eyes and A Nightmare on Elm Street has made moviegoers cringe, laugh and, of course, scream. In 1996, Craven teamed up with writer Kevin Williamson and directed Scream. It was so successful it redefined the horror movie genre. Three installments later and after the franchise’s ten-year hiatus, Craven is back with Scream 4, bearing the fresh and fitting tagline: “New decade. New rules.” Audiences across the world have come to expect something unique and original from this film creator and he’s fully prepared to raise the bar once again. “You have to come back with something worthy of coming back,” said Craven. “You’re addressing a generation of young fans, but also the generation that has gone with you for three, as well as a decade worth of other films. You have to be as good as or better than all those films.” Craven spoke to Interview about Scream, Tweeting from the film set and how he would like to be killed in a scary movie. What made you revisit the Scream franchise after a decade long hiatus? After Scream 3, we didn’t want to do another one for a good amount of time because we didn’t want it to seem like we were just cranking out sequels. But after ten years, and the sort of distinctiveness of the first decade of the 21st century with the explosion of personal devices that allow blogging and video uploading so easily, this was a whole new world. You were Tweeting during the process of making Scream. Not many directors at your level are doing that. What was that experience like for you? It’s a lot of fun. I was stunned by the amount of interest out there and how quickly responses would come back – sometimes within seconds from Europe and Eastern Europe. The scope of the audience that was ready to communicate on that level was remarkable. It was a great way to let the audience know that we were out there working and very excited about what we were doing. Do you think Ghostface should have a Twitter account? [laughs] I don’t know. I think maybe Ghostface should be kept serious business in a way. When the first Scream came out it revived the horror genre. What type of affect do you hope this installment will have? I think it will be sort of a challenge for the genre to reboot itself a bit and not just continue with sequels and remakes. Start this new decade with something that’s fresh and different, devoted to the here and now as opposed to what worked in the last decade. If people walked out of one of your horror movies because it was too scary would that make you feel good or bad? That would make me feel great! One of the things you are promising the audience is that it’s so scary that you can hardly watch. I don’t particularly want to do something that the audience will leave in disgust or anything like that. I remember going to see my friend Sean Cunningham’s movie Friday the 13th, and people were jumping and running up the aisle screaming and laughing at the same time. You turned around and they were peaking through the door of the theater from the lobby. That’s great excitement! I think Scream delivers that along with a lot of other fun things – things that make you think and make you laugh. At the screening of Scream 4, there were as many screams from the audience as there were laughs. Is the comedy already in the script or is that something you bring as a director with your style? I think it’s both, but I certainly bring a lot of it myself, if I may say so. When people get scared they quite often will start cracking jokes or crack a joke about it right afterwards. So in that sense I think it’s natural. You also have to constantly watch yourself that you don’t slip into something that’s self-parody.